“The children were all nestled – snug in their beds. THESE are the cookies Santa really wants…. Unfortunately, I have exhausted citrus and jam-filled… There’s only so many times you can eat one particular cookie before even they start looking about as interesting as a vanilla wafer. While I’m talking cookies… is it just me – or do those homey, holiday commercials depicting grubby, dirty handed children making Rice Krispie Treats and sugar cookies make you want to hurl? Because – to kids… bowls, mouths, noses, pants… are all acceptable depositories for frightfully unclean fingers. … maybe it’s just me. Anyway. While I was poking around in cooking mode, I came across an interview with Eve Kilcher of Alaska, The Last Frontier fame. 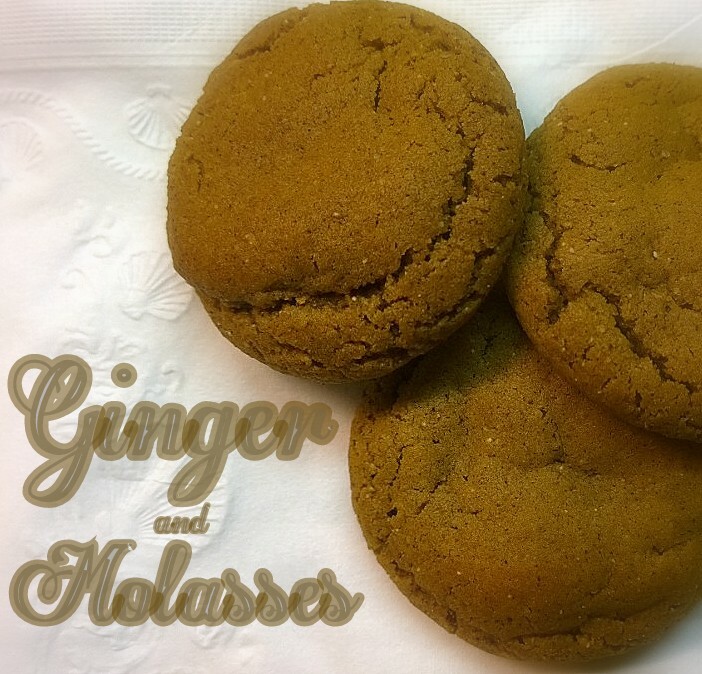 She talked about her husband’s favorite cookie – a Ginger & Molasses one – that looked excessively easy. I’ve made a couple of minor adjustments to her original recipe…. but – I swear… really, truly, swear – these are the best gingerbread cookies you’ll ever eat. 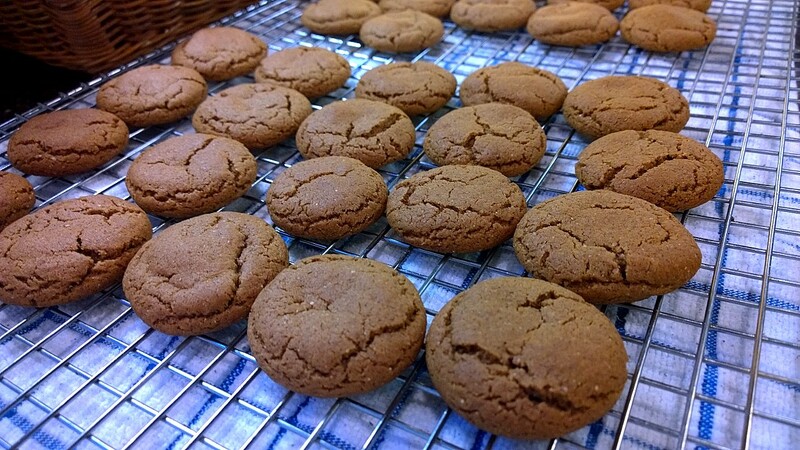 but in my opinion, cloves mask that great ginger bite, leaving you with a clove cookie…. Preheat the oven to 375 . In the mixer, cream the butter, oil, and sugar. Beat the molasses and egg together and add to the butter mixture – beat until smooth. In a separate bowl, sift the dry ingredients and gradually add to the butter / molasses mixture. Scoop the batter into the zipper bag, seal and chill for a good 30 minutes. (you want the dough to hydrate a bit and “un-stickify” a bit since you’re going to be rolling it into little balls. Once the dough is chilled, pinch off about 1″ bits and roll into smooth balls. Place the balls on the prepared cookie sheet about 2″ apart. They honestly do not spread a great deal – and you should be able to space them an inch apart for larger batches. I’ve never been a huge fan of spice cookies. Jane’s go to when we were growing up was either a fruitcake thing or something butter cookie based. But, these really were exceptional cookies… the 2 of us made short work of the 5 dozen in about a week.